page is split into two sections. The name of the ALB-X. The core functionality of the ALB-X. indicate how many days the facility has remaining. contain a number to indicate how many days the facility has remaining. many days the facility has remaining. 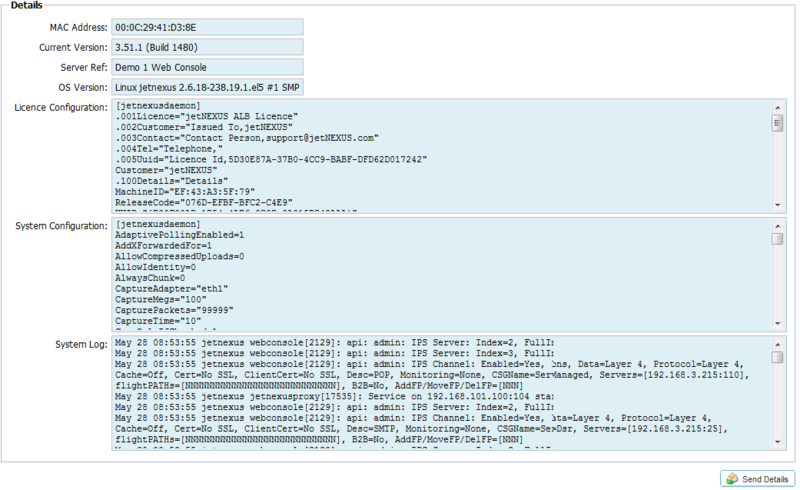 access the web console on https://x.x.x.x:27376.
with the correct Machine ID. 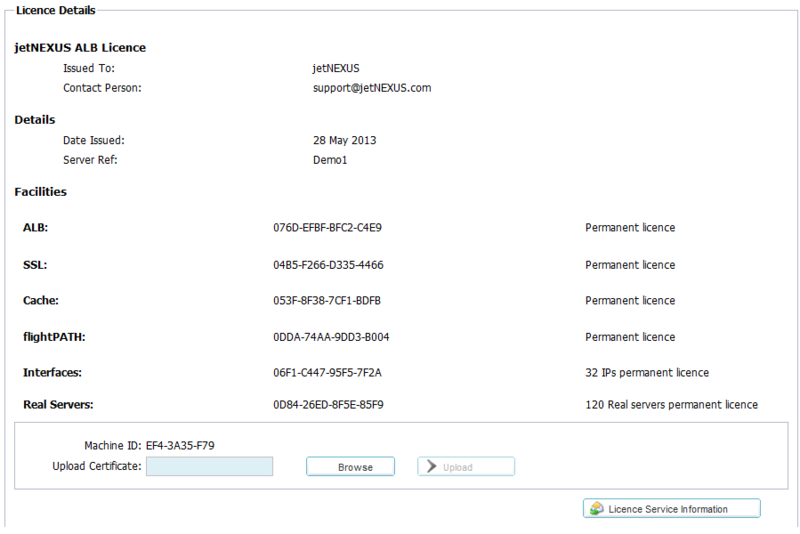 From software version 4.1.1 you can now paste your licence. support team in assisting you if you have an issue.